Is this event just for elites? The 2018 Australasian Championships was held on 25-26 August 2018 in prime rogaining country about 2.5 hours’ drive NW of Brisbane. The event was held in the vicinity of the Manumbar locality, in the Gympie region. Thanks for your participation. Results and photos are available via the website menus. We’ve decided to name the event the ‘Sun SEQer Rogaine’ – to encourage those of you from more southerly latitudes to escape the misery of your rainy winters and come on north to join us in the sunshine! The event is being hosted by the Queensland Rogaine Association. The organising team has considerable experience in setting high quality rogaines, and we’re looking forward to setting a challenging course in a beautiful part of South East Queensland. The event is being run entirely by volunteers, and we will need lots of helpers so please get in touch if you are keen to assist. The Australasian Champs are a 24 hour event, starting at midday on Saturday. The challenge is to visit as many checkpoints as possible in the 24 hours. However your team can always come back to the event centre (Hash House) for a sleep or food before heading out again. Catering is included in your entry fee. The 2018 Intervarsity Rogaining Championships will be held in conjunction with the Australasian Championships, so if you are a university student please check out this information. More information on the terrain, vegetation, likely weather, mapping and accommodation will be provided by email updates (and on this website) progressively. Entries are now open, and you can also purchase some great event merchandise. Please sign up to our mailing list using the form on the right. The Queensland Rogaine Association hosted the Australasian Champsionships most recently in 2013, near Mareeba in North Queensland. The Australian Championships were last held in South East Queensland in 2005 (Cherrabah), and also in 1998 (Eskdale).  The Gympie Regional Council has made a generous financial contribution to the event, and we would like to encourage all participants to stay in the area a while and explore the local attractions and natural environment. The Visit Gympie Region website has some excellent resources for planning and booking your itinerary.